Today is April 29, 2011, and at first, I thought it only appropriate to write a blog about the Royal Wedding. After all, the world is fixated on the wedding of Prince William and Kate Middleton. We cannot seem to get enough of it, and I ask myself, 'Why such the fascination?' Perhaps it is because that childlike fantasy world still exists in all of us. We all want to believe that fairy tales do come true and that a lady can meet her prince and live happily ever after. 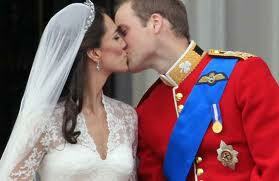 Surely today, in grand splendor, Kate found her Prince and became Princess to the future King of England. And yes, for a few moments the world stood still to rejoice and celebrate in their joining together in marriage. And yes, for a few moments, we jumped off the pages of our own storybook tale and joined William and Kate. And yes, for a few moments I considered writing about the beginning of their “ever after,” but then I thought–NO, people like reality. After all, look at the soaring popularity of reality television. With this in mind, I redirected my thinking and decided to write about something totally real–like PAPER! We all know paper. 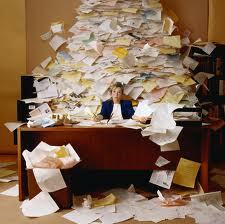 As a matter of fact, most of us are swimming in a sea of paper. It surrounds us. We cannot escape it. However, at HG Logistics LLC, a third party logistics company and transportation broker located in Cincinnati, Ohio, we are tired of drowning and being knocked around by waves of paper, and we are ready to come up for air. HG Logistics LLC anticipates this step to be a step in the right direction, a step that will take us into the future, and a step that will improve our overall performance and customer service. Going paperless will turn our fantasy into reality and HG Logistics LLC, like Prince William and Princess William of Wales, will too be living happily ever after.